Home > Who Cares > Questionnaire: Are You Suited to Being a Carer? Carers are individuals who provide unpaid care to friends and family members. This care can be day-to-day, personal or even some forms of health care, but the one thing that all carers have in common is their unpaid status. There are over six million carers in the UK, but this does not mean that every person who becomes ill, injured, frail or is disabled will need, want or accept the help of a carer. Nor does it mean that everyone is suited to caring for family or friends. To assist you in determining your viability as a carer we have put together the questionnaire below. Answer "yes" or "no" to each question. Total your answers. Match them to the explanations at the end to find out if you are suited to being a carer. 1. Do you have time to provide care to someone on a consistent basis? 2. Can you afford to provide consistent care to someone without payment? 3. Do you live close enough to someone to be able to care for them regularly? 4. Are you able to carry out personal care tasks for others? 5. Can you remember even the smallest details of another's health? 6. Are you skilled at record-keeping? 7. Do you cook well? 8. Can you provide emotional support to others? 9. Do you have a way of transporting someone else to and from appointments and activities? 10. Are you able to motivate others when they need it? 11. Do you have your own hobbies and methods of stress relief? 12. Do you understand the difference between caring for someone and controlling their life? Are You Suited to Being a Carer? If you answered "yes" to between one and four questions then you are most likely not suited to being a carer. Caring, even when it looks like it might only be a few hours at a time, can easily become like a full time job. Caring encompasses all aspects of a person's life, from getting out of bed in the morning to getting to sleep at night. Carers, even when they are not physically with their loved ones, are often working on behalf of those people. There is no shame in not being suited to caring, but it may mean that should a friend or relative need help that you will need to work to find alternate solutions for their health and well-being. If you answered "yes" to between five and eight questions then you may be suited to being a carer. You likely have the temperament and skill set that would make you a good carer, though there may be some practical issues that could keep you from being able to make the most of your talents. If you are concerned about your ability to care for others, consider helping someone casually until you understand what will truly be asked of you. Whether or not you can care for someone else is a very personal decision, but one that you may find organisations such as Carers UK or The Princess Royal Trust for Carers can support you as you make. If you answered "yes" to nine or more questions then you are most likely suited to being a carer. You likely have the time and talents required of a good carer and you probably understand the myriad tasks which may be required of a carer at any given time. If you have reservations about caring for someone, consider getting in touch with other carers, your local council, health authority or social services, a carer's organisation such as Carers UK or The Princess Royal Trust for Carers or even a forum or website for carers on the Internet. Finding others who have already made the decision you are facing may help you sort through your own thoughts and emotions about whether or not to become a carer. I have cared for my disabled mother for over 30 years and now I have become elderly and disabled myself. 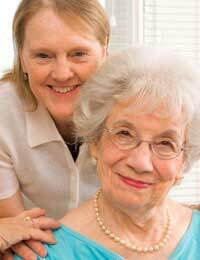 I now use professional careworkers to help me care for my mother who has also developed dementia. Relying on careworkers adds to the burden for rarely do they read the care plan and often leave my mother's home insecure. The items on the care plan are treated as optional extras. Furthermore, many careworkers do not have the compassion required to do a good job. The compassionate careworkers suffer as they are treated with suspicion. I have found that caring for a family member affects every part of my life. Even when taking a holiday I have found the system breaks down requiring me to return home early to sort it out. This has happened four times out of six so far. This means I am hesitant to take a break. Several years ago I undertook a Master's degree course which has been a disaster because of the interruptions and has cost me £2600 more as I have needed to extend my course because of my caring responsibilities. The university has been unsympathetic and find me difficult. Although I have received high marks for the work I have carried out I feel I am ready to give the whole thing up. I no longer have a desire to see my friends as I am now suffering from depression and see no way out except for my mother's death which would leave me feeling even more devastated. I am very sorry to hear this and it seems which ever way you turn you are facing obstacles. On a personal note I have included a link to Carers UK here which recognises the issues carers face and can offer help and support. Plus the AgeUK link here. If you feel you are suffering depression as a result, then you really need to speak with your GP as he/she may be able to look at ways of helping to ease your situation (not necessarily medically). The main thing is not to give your degree work up, as an interest to focus on besides your caring role is positive thing and despite the hard work will have rewards at the end. I have cared for my disabled mother for over 30 years and now I have become elderly and disabled myself. I now use professional careworkers to help me care for my mother who has also developed dementia. Relying on careworkers adds to the burden for rarely do they read the care plan and often leave my mother's home insecure. The items on the care plan are treated as optional extras. Furthermore, many careworkers do not have the compassion required to do a good job.The compassionate careworkers suffer as they are treated with suspicion. I have found that caring for a family member affects every part of my life.Even when taking a holiday I have found the system breaks down requiring me to return home early to sort it out. This has happened four times out of six so far.This means I am hesitant to take a break.Several years ago I undertook a Master's degree course which has been a disaster because of the interruptions and has cost me £2600 more as I have needed to extend my course because of my caring responsibilities. The university has been unsympathetic and find me difficult. Although I have received high marks for the work I have carried out I feel I am ready to give the whole thing up. I no longer have a desire to see my friends as I am now suffering from depression and see no way out except for my mother's death which would leave me feeling even more devastated.